The rental market is hot in the Twin Cities right now with millennials and baby boomers renting homes, condos and apartments. So, how can you get a deal in the area you want? KARE 11's Ellery McCardle gets some answers. MINNEAPOLIS — It's a problem people across the country have right now: affording a place to live. Rent prices have continuously gone up - and the Twin Cities is no exception. "Average rent in the Twin Cities is somewhere around $1,600 a month," said Kevin Ortner, President/CEO of Renter's Warehouse in Eden Prairie. The company helps landlords buy, lease and manage properties. Nonetheless, he believes rent prices will stay stable this year. Right now, renting homes is especially popular in the metro, according to Ortner. "There are a lot of options, but they are moving quick," said Ortner. Come March, demand will start to go up, with summer being an especially high-demand time of year. "The most important thing you can do is just have the list of what's important to you before you start looking, so really understand what it is you're looking for, where you want to be having that criteria because it'll really narrow down your search," said Ortner. Then you can start to compare places by using websites like Zillow, Trulia, renterswarehouse.com and rentals.com, he explained. Offer your landlord a longer-term lease, maybe two or three years if you can. Simply, ask for a lower price. "When you see it, you just have to be ready to jump on it," said Ortner. To learn more about Renter's Warehouse, you can visit their website here. 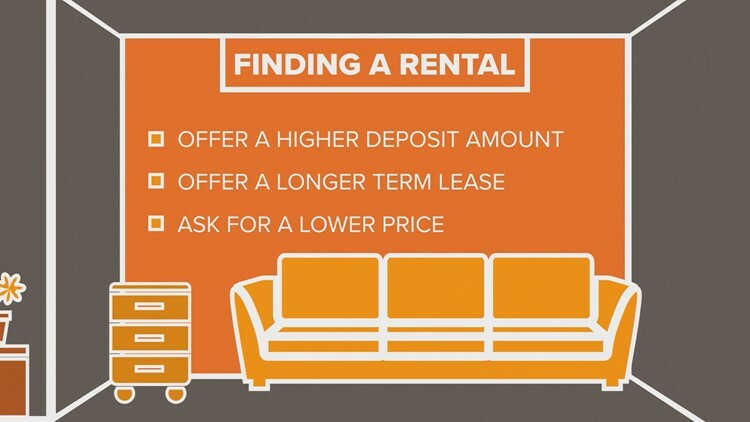 Have more questions about renting in the metro? Ortner will be joining KARE 11 at 9:30 a.m. on Thursday, February 7 for a Facebook Live discussion. Tune in to ask your questions!